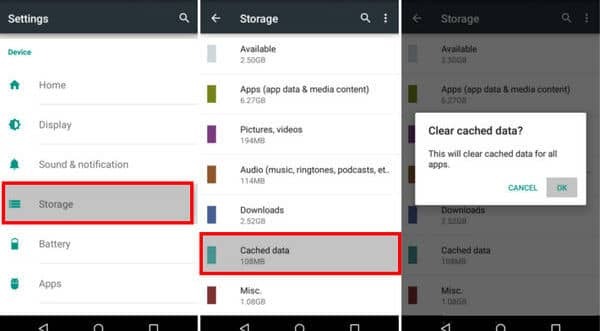 Clear Cache on Android: Learning how to erase the cache in Android is useful to avoid using the memory of the smartphone in a useless way. When in reality it could be released to accommodate an application that is of interest, photographs, videos or similar. In this case, we focus on how to delete cache in Android without applications. Because although there are apps developed specifically for these tasks. In the background, they are unnecessary because with a few simple steps you will get the same results without installing apps. 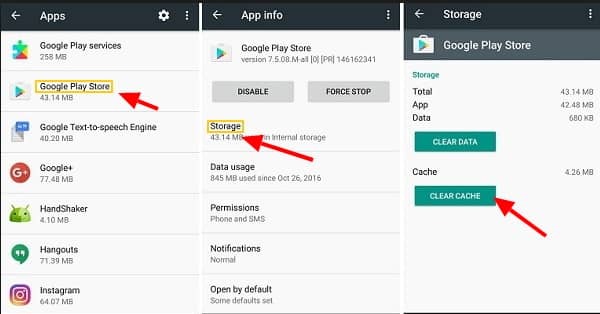 What is the Cache in Android? If you pay attention to these details, once an Android app is installed it will have a certain size. But as time passes and it is used, it will go downloading and generating temporary or new files, which will increase the space that the app occupies in memory. The cache in Android is then defined as those temporary or residual files which are used for applications to load faster. Since being in memory does not need to be downloaded again and again. 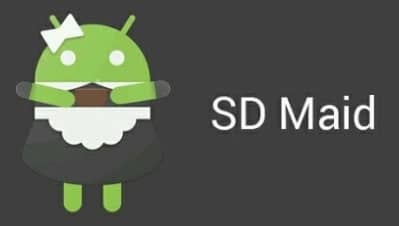 How to Delete Cache in Android without Apps? The procedure to delete cache on Android is very simple and consists of the following steps mentioned below. The only work you should do is follow according to the step below. Step 1: Go to the Settings section. Next, go to Storage. Step 2: Click on Cached Data. Step 3: A message that will appear on the screen and you will be asked if you want to erase cached data… Click OK.
With the above, the temporary and residual data of the applications installed on the smartphone will be erased. These 3 simple steps are good enough to delete the complete cached data simply without any apps. How to Delete Cache in Android Apps Individually? Step 1: You must enter in the Settings section. Find the Applications option. Step 2: Locate the app that you are interested in delete the cache and click on it. Step 3: In the new screen that you have click on Storage and check in Clear cache. So this is the process to delete the cache in android apps easily. Although the objective of the article is to share a method to eliminate the cache without using applications. You may want to try to perform the same procedure with an app. In this regard, it should be mentioned that there are few applications that can be recommended. Since in many cases those that appear in the Play Store what they do is to alarm users to go winning a few downloads or perform misleading configuration processes. So to make it clear and provide you the best apps to clear cache on android, we provided the best cache clearing apps for android. It is the bet of Google with its file browser for Android, which in addition to fulfilling this role. 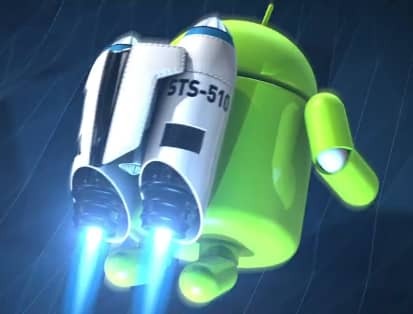 Is described as a very lightweight tool to free space in Android intelligently. Its main advantage is that its weight does not exceed 6 MB and is responsible for identifying the apps that have been used very little in recent months to suggest their removal. It is an app that tries to go a bit further than Google’s File. This is because the user has the possibility of deleting files from the system that are only there to occupy space and that are not really useful. With this application, you can analyze the memory in depth and clear the cache. It is a recognized tool in Windows and Mac that also has its version for Android. Not only does it work to clear the application cache, but it can also free up space on the smartphone with other configurations for better performance. How often is it Recommended to Clean the Cache? The process is actually very simple to apply, so complex installations or configurations are not required for its realization. On the other hand, you can not raise a more appropriate time than another to clean the cache. But it depends more on the use and behavior of each device. If you notice that you are running out of free space or that an app is doing strange things on your smartphone, it would be worth it to delete the temporary files. Repeating these instructions every 3 or 6 months is more than enough. What is Achieved by Clearing the Cache in Android? By eliminating the smartphone cache, it is possible to free temporary or residual files that were created and downloaded from the use of the installed applications from the storage of the device. Anyway, once the application is opened again all these temporary files will be created because they are necessary for its operation. On the other hand, it should be noted that the deletion of the cache does not eliminate important files. But it does so only with the temporary files that the app will be able to recover later without any problem. It should also be noted that there are applications that by their characteristics usually fill the storage of the device with junk and temporary files such as Facebook. In other words, it is a method to improve the performance of the device. Over time the idea of clearing the cache has become quite common among device owners with this operating system installed. In general terms, it is usually thought that it is a task that only implies benefits but this is a real affirmation partially. As indicated, the elimination of the cache is beneficial more than anything if the Device has low memory. But the truth is that if this procedure is abused by doing it every few days does not mean that the computer is configured correctly. As mentioned in the previous paragraphs, a period of between 3 to 6 months is appropriate for erasing the cache on your Android Android or High-end Android range. Because if it is done frequently it will be reduced Android performance and this is explained by remembering that temporary files or cache make access to this data for applications faster. Therefore, if the cache is deleted, applications have to start from scratch. An example of the above explanation can be raised with Spotify. Because of its operation, Spotify stores data in the memory of the device. In particular, the songs that are listened to so that it does not always depend on an Internet connection. If you choose to delete the cache here, the process will be reversed. Therefore, the Internet will be required again. Hence, you have explored to the complete process of deleting cache on android phone without apps and with apps. We have explained each and every step in a clear and best manner. We hope you like this article and it will be very much useful for you in doing the process. Feel free to ask your questions in the comment box below. Share the article and show your support now. Stay tuned to cracko for more awesome articles.